Junior Sergeant Dmytro Ukrayinskyy was killed during the operation. Units of the 24th King Danylo detached mechanized brigade together with a deep reconnaissance company of a detached reconnaissance battalion have taken steps to squeeze out the Russian occupying troops from population centres in the so-called gray area, MP Dmytro Tymchuk, a coordinator of the Information Resistance group, has said on Facebook. "As a result, they have completed the creation of a security circle around the town of Toretsk and the formation of a buffer zone around the Mayorske checkpoint. The population centre of Shumy and the summer house neighbourhood of this population centre, a motorway along the water pipeline and the summer house neighbourhood of the Shakhty 6-7 village have come under full control of the Joint Forces. Overall they have taken control of over 10 sq. km of the so-called gray area," he said. According to the Information Resistance group, the operation had been carefully planned and organized and was a great surprise for the enemy. The Ukrainian army has seized the freshly equipped firing positions of pro-Russian militants. The enemy put up resistance, trying to win back some positions. 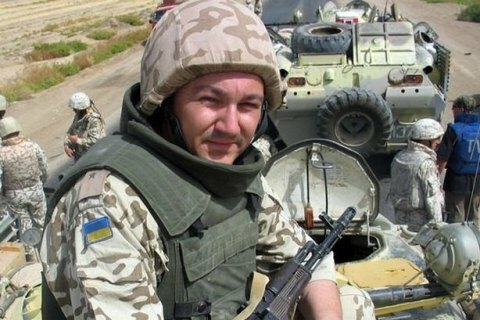 Junior Sergeant Dmytro Ukrayinskyy was killed during the operation. In May, the Ukrainian army freed the village of Pivdenne in Donetsk Region.